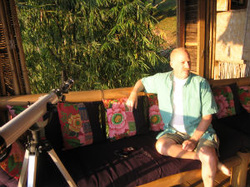 Asian Oasis has created a wonderful lodge in the village that is part of an effort to support community-based tourism. 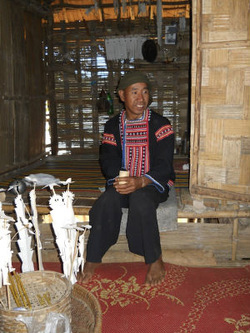 In other words, this lodge is not only built in the local style, but is entirely staffed by villagers. Moreover, guests lucky enough to stay here are taken on various outings by the villagers, including a visit to village homes, a drop in at the village shaman, a chance to join a tree planting project, or to trek in the hills, or even to try their hands at local crafts, to say nothing of sunbathing by the Mekong River. If you were looking for some way to get to the heart of Thailand, this is the closest you might come. 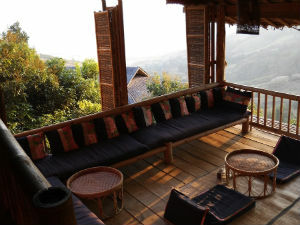 The lodge is high on a hill overlooking the Mekong River valley, and Laos is just a stone’s throw away. Once you arrive here, you don’t need money. 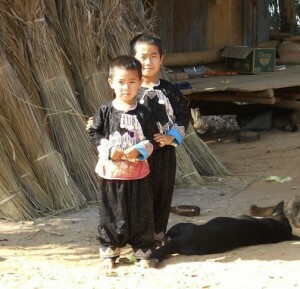 All meals are provided (traditional Thai, and European at breakfast). Each of the four villas has four (very comfortable) rooms and a communal living/dining room. I could go on and on…but instead, just take a look at the photos I have attached. 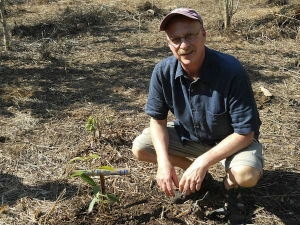 They include photos of the lodge, the village, villagers, dancers, the village shaman, and of course, me planting a tree….